The idea of Daffodil Web & e-Commerce (DWE) came when the custom of world trade and commerce changed and opportunity created in the Global Business Market with the advent of ICT. 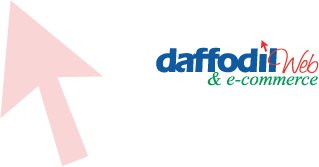 To help meet the challenges and to grab every opportunities of the competitive market Daffodil Web & e-Commerce was established during the year 1998 and incorporated in 2003. 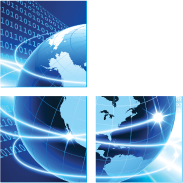 We have almost 15 years of experience in designing, architecting, and implementing professional-grade, scalable web sites and software, which can position your company for long-term success. DWE has a group of thinkers, doers, and creators who are striving to design websites. By combining creative web designs with effective search engine optimization and professional content writing, we ensure your web design to the top appealing the right customers, clients, and visitors. The young computer professionals and business specialists at Daffodil Web & Commerce who we put to work on your project, ensures that your business is backed by the best experience and expertise available on the market. DWE believes in customer satisfaction and our development process rests on the three pillars 'customer service', 'user orientation' and 'agile development'. Daffodil Web & E-Commerce (DWE) has worked with so many national, multinational & international projects and earned huge reputation at home & abroad.